Joanne "Jo" Frost (born 27 June 1970) is a British nanny and television personality. She was the central figure of the reality television program Supernanny. She has written three books on childcare and began her work experience in 1989. Frost was born in London, England, in 1970 to an English father and a Gibraltar-born mother. While she has no children of her own, Frost has 21 years' experience in the field of childcare, working as a nanny in the UK and the US, including work with families on the television series Supernanny, which is shown in 49 countries. Frost's books are Supernanny: How to Get the Best from Your Children, Ask Supernanny: What Every Parent Wants to Know, and Jo Frost's Confident Baby Care. Her childcare approach focuses on maintaining consistent adult authority, while creating a safe and peaceful environment. She introduced parents to "the naughty step", a variation on the "time-out" method. She suggests solutions for behavioural issues such as adherence to bed time, meal time conduct, behaviour in public, sibling rivalry, and anger management. 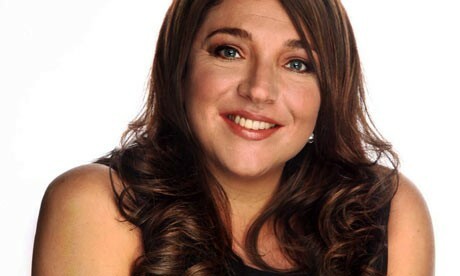 In 2010, Frost presented a new show titled Jo Frost Extreme Parental Guidance on Channel 4. The British international format rights are distributed by DRG. On 5 March 2010 Frost appeared on Alan Carr: Chatty Man, talking about her personal life. In November 2010, after almost 9 years of helping other families, Frost announced the end of Supernanny in hopes of starting a family of her own.